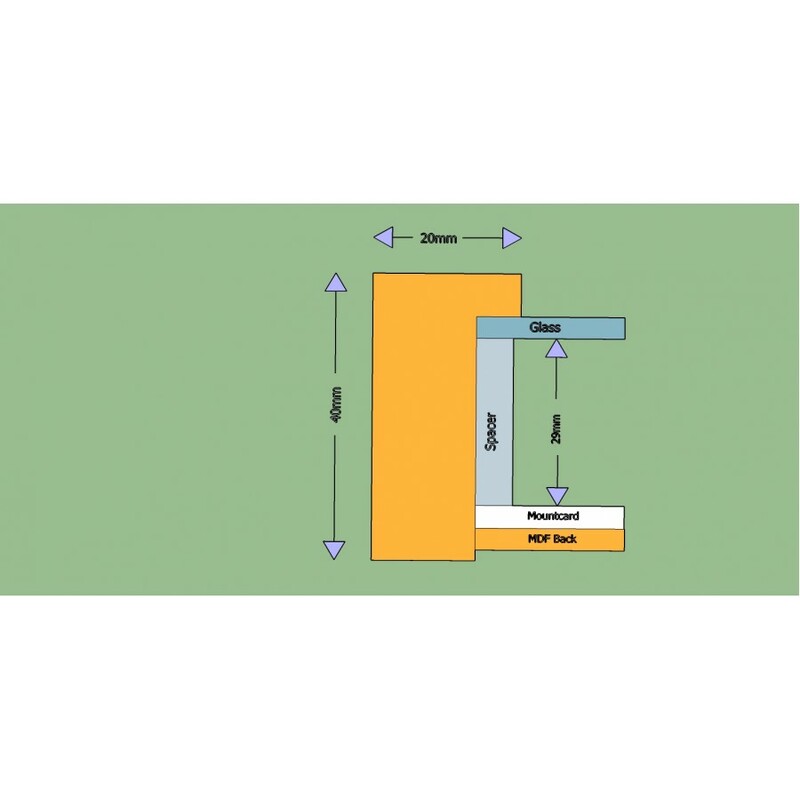 Please see additional product images for approximate dimensions of the back mountboard. 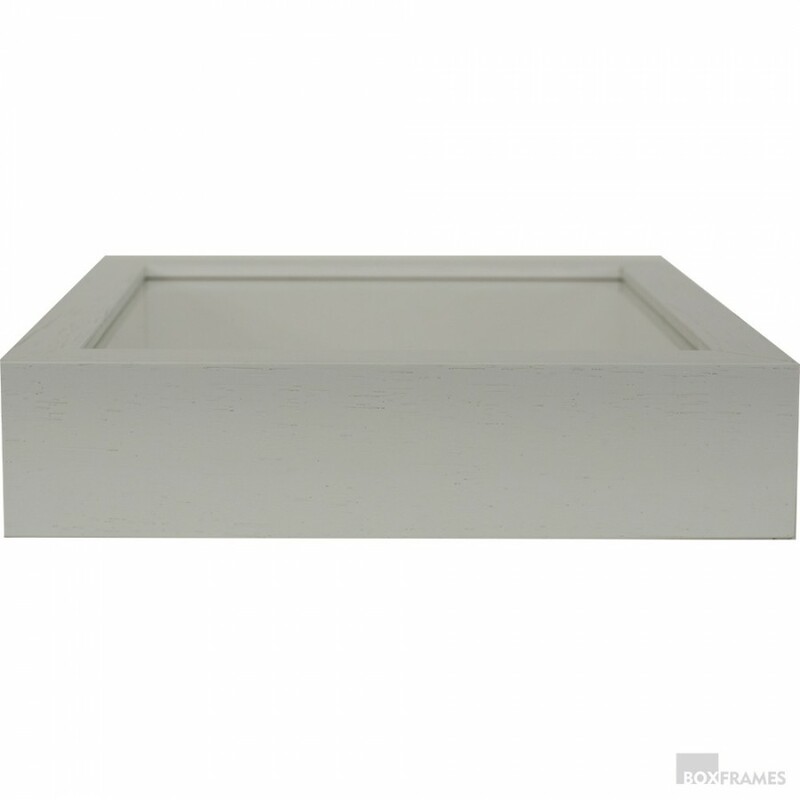 The frame is assembled from an obeche moulding with a white spacer and mountboard inside. 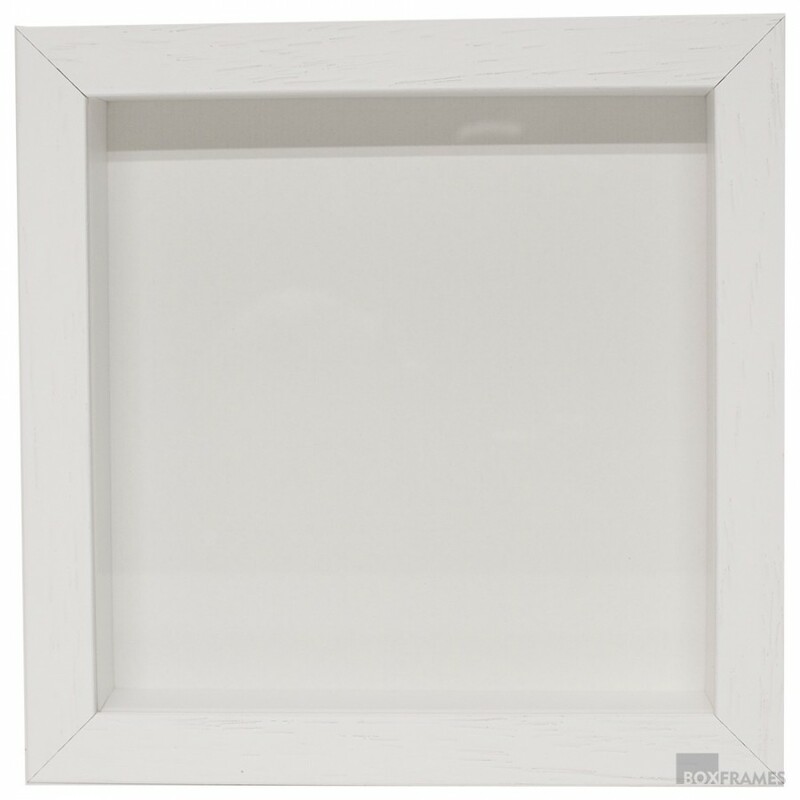 The frame is 29mm deep between the board and glass to give maximum mounting space within the frame whilst providing the highest quality finish. Can be free standing or wall mounted. All sizes quoted below are for the glass size. 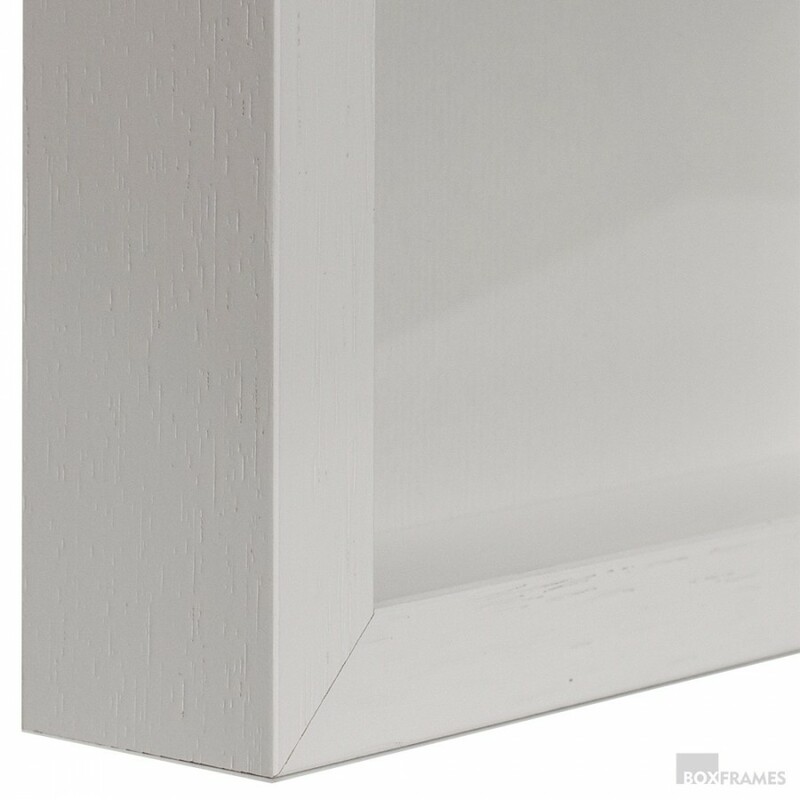 The white spacers reduce the length and width of the mountable area by approx 12mm.